Real life ghost stories, creepy, mysterious, unexplained happenings, otherworldly sightings… that’s right, all in Saskatchewan! If you’re a fan of the paranormal, a thrills and chills seeker or you’re just interested in some fascinating paranormal history, Saskatchewan truly has it all! Get ready to discover a whole new realm of possibilities. Don’t worry if you miss Halloween. Most of these spooky sites can be seen and visited all year round. This light has attracted attention since people first started noticing the strange occurrence of a light along the old abandoned railway in the town of St. Louis. The light travels the length of the track, changing its colour and some have even said that the intensity of the ghostly light changes as well. Many people have tried to scientifically explain how the light occurs and find a cause of the phenomenon. Others are content to attribute the light to paranormal activity. Many people have attributed the light to a ghost train. Others have said it is the light from the lantern of a CNR engineer who was involved in an accident with a train and beheaded. Some have said he’s out with his lantern searching for his head. Whatever the cause of the light, it’s a must see and a rare find for all who love spooky, unexplained activity. This incredible house has seen a lot of history throughout its century long life. The house was once home to a judge and his family and has since seen other private owners. It has been a coffee shop and is now home to the Computer Clinic. Local legend has it that the place is haunted. Staff have reported ghostly sightings. One staff member went so far as to say a female wearing a wedding dress walked right through her. Appliances have been said to turn on and off. Secondary sightings of the figure of a woman on the top floor and unexplained footsteps overhead have all been reported. Many theories arose over the years for the cause of the hauntings but most, if not all have bene proven false. If you’re in Regina, walk or drive by and spend a few moments staring up at the second story. You might just see a ghost for yourself. 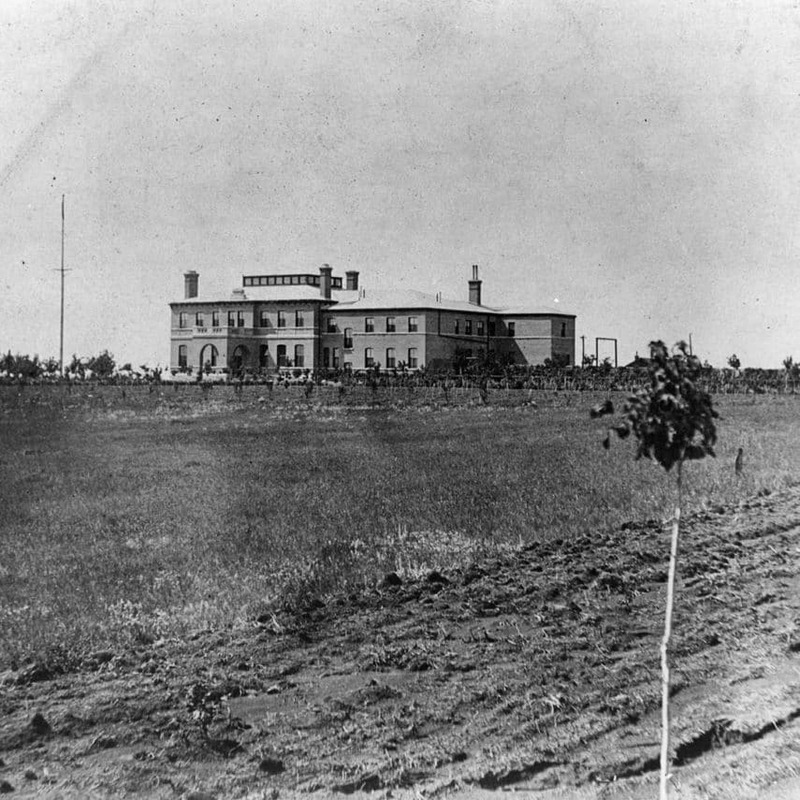 The historic convent in the small town of Gravelbourg, turned into a school, is reportedly haunted. Unexplained noises and stories of ghostly sightings abound. The fourth floor is said to be haunted with ladies who open and closes doors. A little boy who disappeared was said to be seen in the auditorium. The spirit of a girl who died of tuberculosis is said to have returned to haunt the school. The age of the building itself lends an aura of mysticism. There are also many other things to see and do in the town of Gravelbourg, making it well worth the trip out. If you’re ever visiting the hospital or a patient, keep an eye out for the unexplained. There have been many stories of ghostly activity over the years including staff who have reported seeing doors open and close on their own. Some have said this was even caught on security camera footage. Ghostly voices and footsteps have been said to be heard by patients and staff alike. There are also stories of the ghosts of nuns who haunt the basement.